A new crime-fighting duo is making their way onto the scene and Captain Man and Kid Danger aren’t too happy about it. Nickelodeon’s top-ranked and highly-acclaimed TV show, Henry Danger is serving up tons of fun this Thanksgiving season with two, brand new episodes that are filled with loads of adventures. On November 17th, a much-anticipated, one-hour special of Henry Danger titled “Thumb War” will air. In the fantastic episode, Captain Man and Kid Danger have to deal with a new crime-fighting team, who just so happens to be their biggest fans. Once things go wrong during an unfortunate incident, the Thumb Buddies are out to take revenge on Captain Man and Kid Danger. The remarkable episode features an amazing, special guest and Nickelodeon veteran – iCarly’s Jerry Trainor. To continue on with the excitement, another terrific episode awaits for fans to enjoy on Thanksgiving weekend on November 24th. In “The Great Cactus Con,” Jasper has some fun taking his crush to Cactus Con. However, things don’t go as planned when a villain enters in the convention and the squad must find a way to fix what’s going on. The episode is bound to be phenomenal and social media sensation Baby Ariel will also be guest-starring. Henry Danger is truly a masterpiece of a show. It takes viewers on a countless amount of exciting journeys – from dealing with school, crushes and of course… fighting off some villains! Each and every episode is action-packed and there truly is never a dull moment when we get to hang with the Henry Danger gang. The cast, consisting of Jace Norman, Cooper Barnes, Riele Downs, Ella Anderson, Sean Ryan Fox, Jeffrey Nicholas Brown and Michael D. Cohen, are all so immensely talented and stupendous and they use their unrivaled talents to bring this excellent show to life. I, Alexisjoyvipaccess had a marvelous time covering Nickelodeon’s Fall Party and had a brilliant time interviewing the cast of Henry Danger at the event. 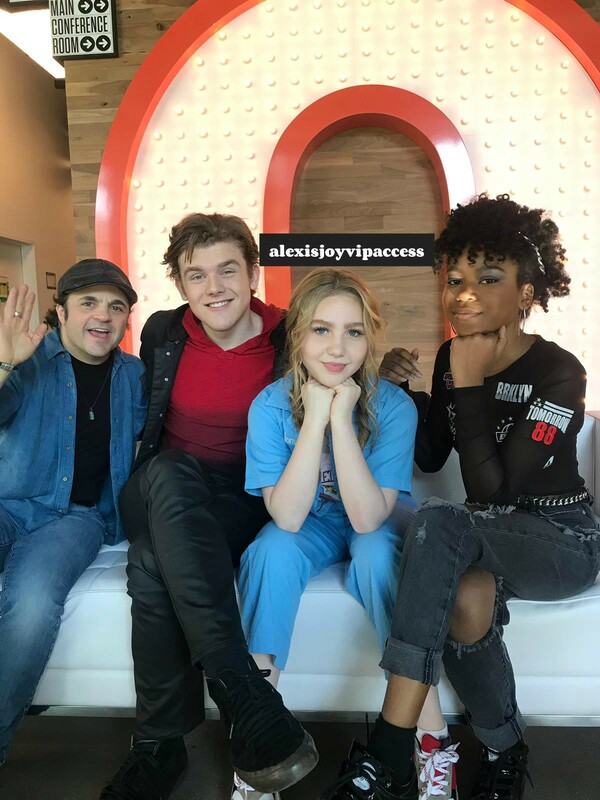 Riele Downs, Sean Ryan Fox, Ella Anderson and Michael D. Cohen dished exclusively to Alexisjoyvipaccess all about what it was like for them working on the “Thumb War” and “The Great Cactus Con” episodes, who they would like to see guest-star in the show and so much more only in our VIPAccessEXCLUSIVE interview. Riele, Ella, Michael and Sean also took on an epic THUMB WAR – find out who won in our VIPAccessEXCLUSIVE interview below. Thanks for the awesome interview, Michael, Sean, Ella and Riele! Check out my VIPAccessEXCLUSIVE interview with the spectacular cast of Henry Danger at Nickelodeon’s Fall Party below! Be sure to mark your calendars and tune in to “Thumb War” airing on November 17th at 8:00 PM and “The Great Cactus Con” airing on November 24th at 8:00 PM. Previous VIPAccessEXCLUSIVE: “Cousins For Life” Cast Interview With Alexisjoyvipaccess At Nickelodeon’s Fall Party! Next VIPAccessEXCLUSIVE: Tom Schwartz Interview With Alexisjoyvipaccess At Childhelp’s Hollywood Heroes Benefit Event!